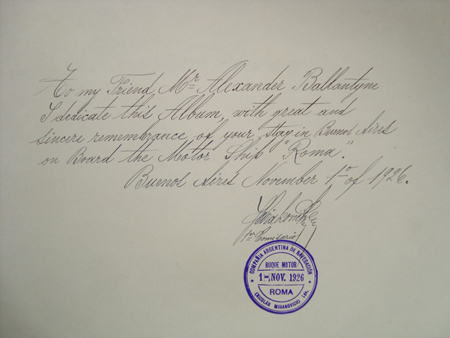 My great grandfather Alexander Ballantyne OBE was an engineer back in the days when Sun never set on the British Empire. After having served his apprenticeship in Scotland he set off around the world working aboard steam ships. One of these was the “Roma” which was built in Glasgow by the ship builders A & J Inglis. 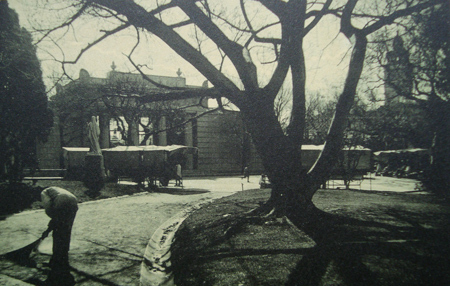 In 1926 my great grandfather set off to Buenos Aires on the Roma to deliver it to its new owners—the Companía Argentina de Navigación (Nicolas Mihanovich) Ltd. They were the dominant force in shipping in Argentina and pretty much ran a monopoly. As well as delivering the ship he had to spend a bit of time in Buenos Aires to test the ship’s engines. 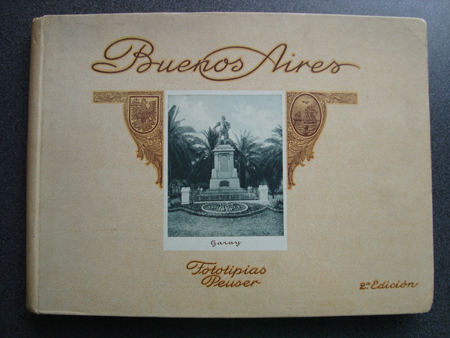 When he left he was given a photograph album of Buenos Aires as a thank you present by the Companía Argentina de Navigación. It is this album which inspired this blog. The fact that Ken put so much effort doing his own series of then & now pics using the 1920s album—in spite of never having visited Buenos Aires previously—inspired me to get in touch. I’ve tried to help by taking a few photos he couldn’t decipher… BA has changed a lot. I’m hoping we’ll be able to meet soon in London because I truly appreciate his work. 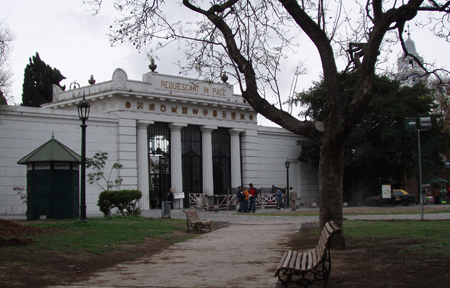 Naturally, Recoleta Cemetery appeared in the book given to Ken’s great-grandfather. Below is the original photo, along with the newer version. Unfortunately that particular tree is no longer there, so Ken came up with a creative solution. Not bad at all. It’s difficult to be 100% accurate when the plaza in front of the cemetery has changed so often!